As is the case with many horses running at Finger Lakes, Funny Surprise started her career at NYRA with connections that are American racing “royalty”. She was purchase for $60.000 as a yearling by the Repole stable and sent to Todd Pletcher for her training. 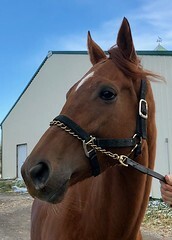 Although she went off the favorite in her very first race, she didn’t perform to her odds or her connections hopes. 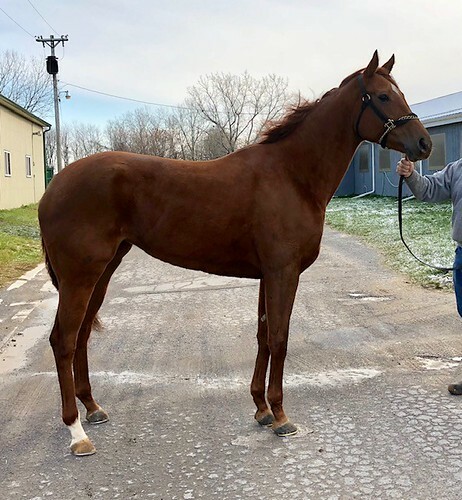 Two years later, she is a young, pretty filly who has compiled a very good race record with 3 wins, 13 seconds and 7 thirds out of 32 starts. Those 13 seconds brought in nice, regular paychecks and saved her conditions so she was able to run in easier company over a prolonged period of time. It also demonstrates an honest work ethic and a talented athlete. 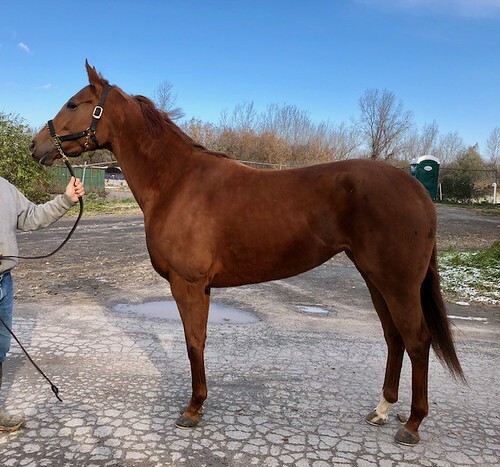 Her trainer describes her as a sweetheart with wonderful ground manners, a classy mare and just an all around good egg. We admired her pretty head and kind eye as well as her great movement at the jog. 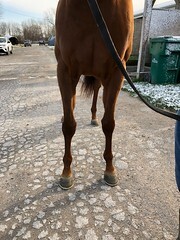 She is said to be sound and we saw clean legs and a nice cadence at the jog. She is by Giant Surprise out of a Bright Launch mare.